Click here for the entire schedule in East and Central Texas. 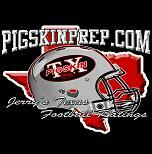 Click here for the rest of the East and Central Texas H.S. schedule. Click here for the rest of the H.S. Schedule in East and Central Texas.